Steven Van Zandt goes by many names: Little Steven, Miami Steve, Silvio Dante and Frank The Fixer among others. The latter two represent fictional characters on two television series that Van Zandt starred in, "The Sopranos" and "Lilyhammer," respectively. 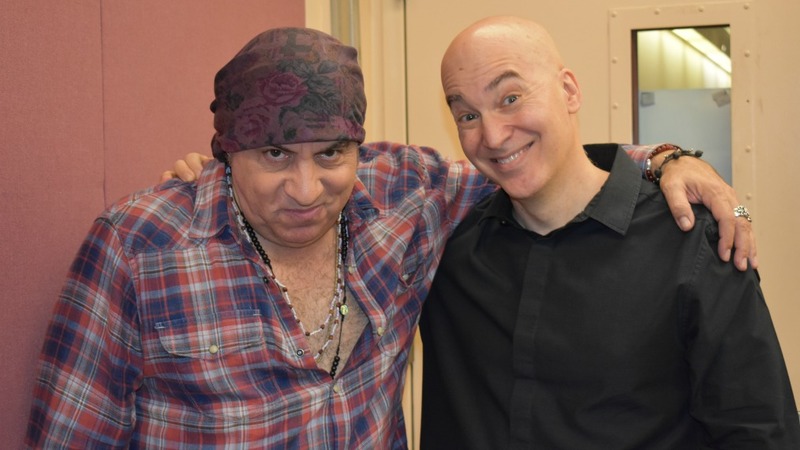 Of course, Little Steven and Miami Steve are the nicknames that the New Jersey icon picked up as guitarist in Bruce Springsteen’s E Street Band — and they are his preferred handles for work as a solo artist. As a multi-instrumentalist, singer, songwriter and producer, Van Zandt was a crucial figure in the creation of the Jersey Shore sound. That Stax-soaked spirit informs his new album, Soulfire, which is credited to Little Steven and The Disciples of Soul. On this FUV Live session, I'll have the chance to talk to this man of many names about this new album and much more.